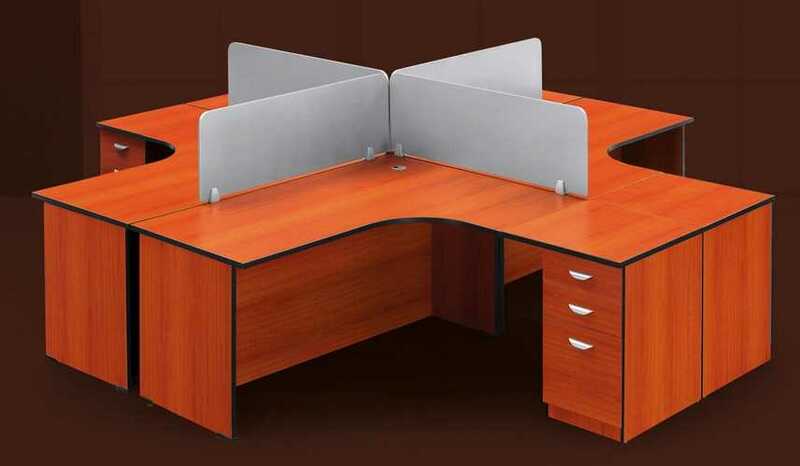 Description The melamine four way cluster desk is very simple in design available in three different colours. It has a 32mm desk top and it can be used either left handed or right handed. The mobile desk height pedestal consists of two standard drawers and one deep filer drawer. 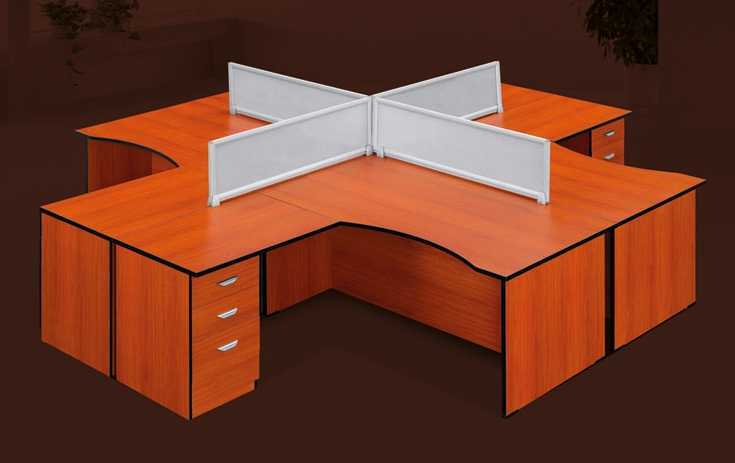 Description The melamine four way cluster desk is very simple in design available in three different colours. It has a 32mm desk top. The mobile desk height pedestal consists of two standard drawers and one deep filer drawer. Dividers sold separately. 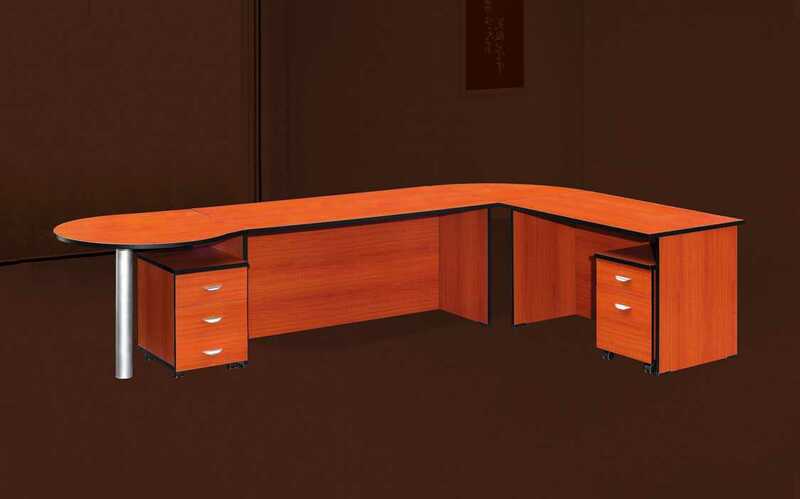 Description The melamine desk shell has a basic design available in three different colours. It has a 32mm desk top and panel legs and it has a fit in pedestal consisting of one pencil tray and tree standard drawers all with central locking. Fit in Pedestal #JA002A sold separately. 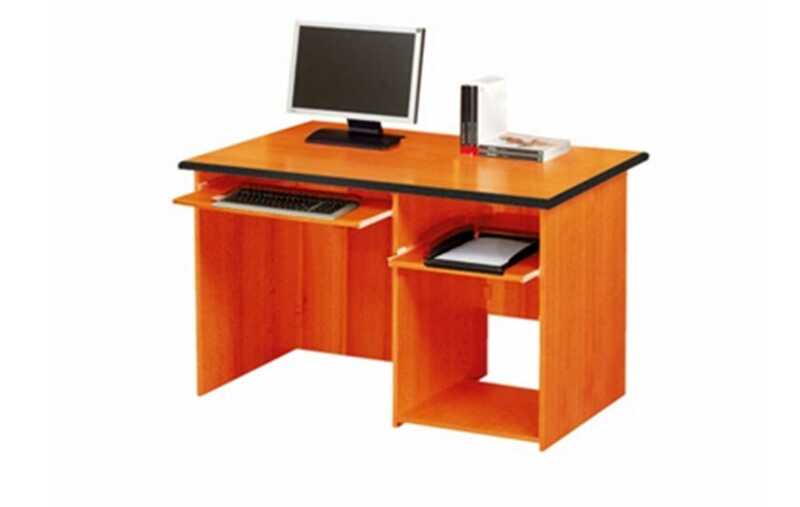 Description Melamine computer desk with two sliding shelves one for keyboard and another one above pc compartment. 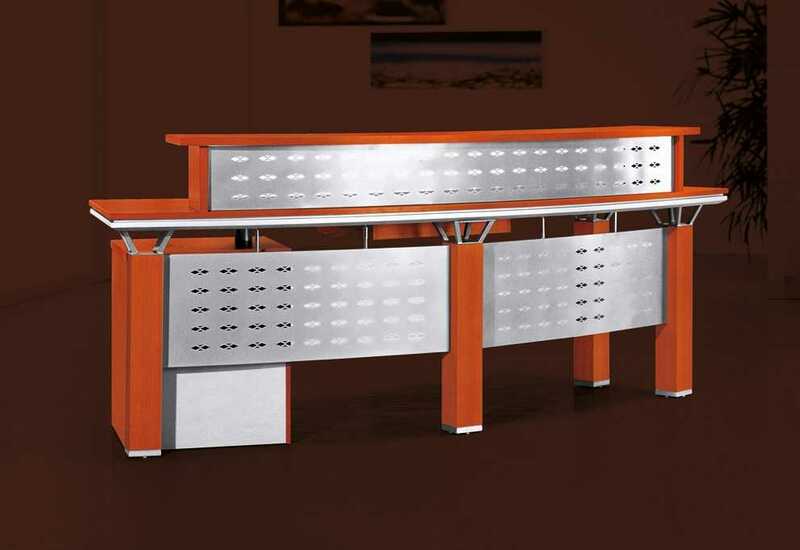 Description This executive reception desk is made in a melamine finish and incorporates aluminium front paneling. It has a very light design incorporating a mobile pedestal with drawers and a central pencil tray. 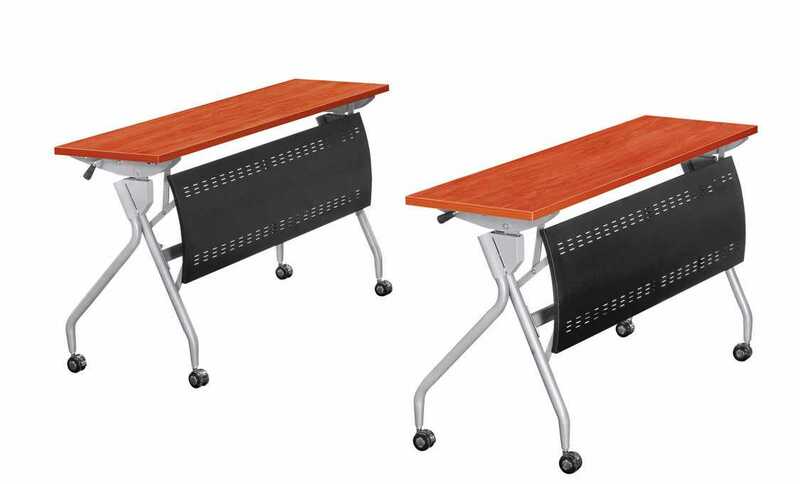 Description Melamine flip desk, with front modesty panel and castors for convenience. Desks can be folded flat for easy storage. 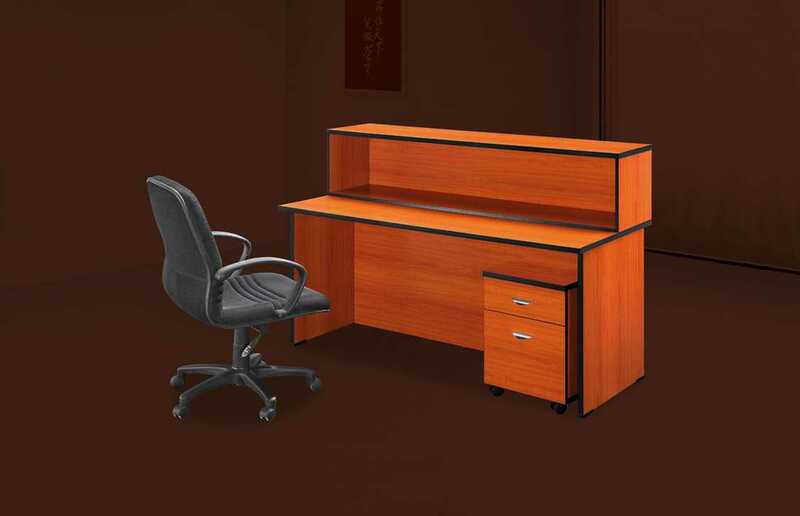 Description This melamine modular desk combination has a 25mm top. 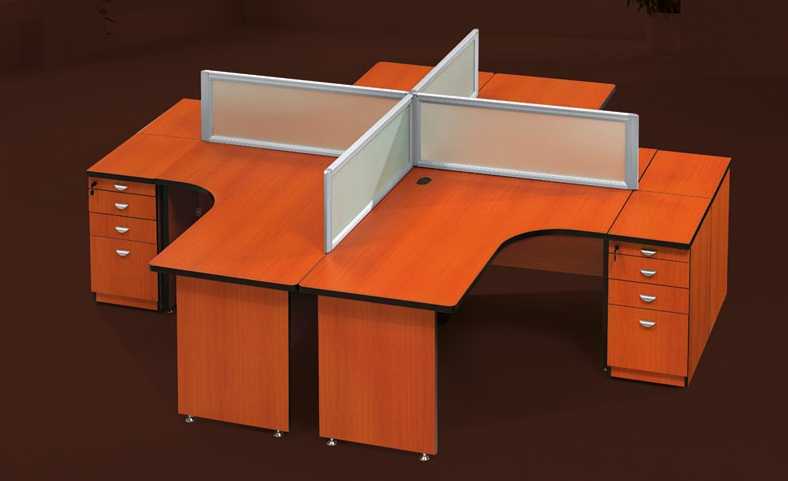 Desks, desk extensions, corner link, conference end with pole leg and fit in pedestal are all sold separately. 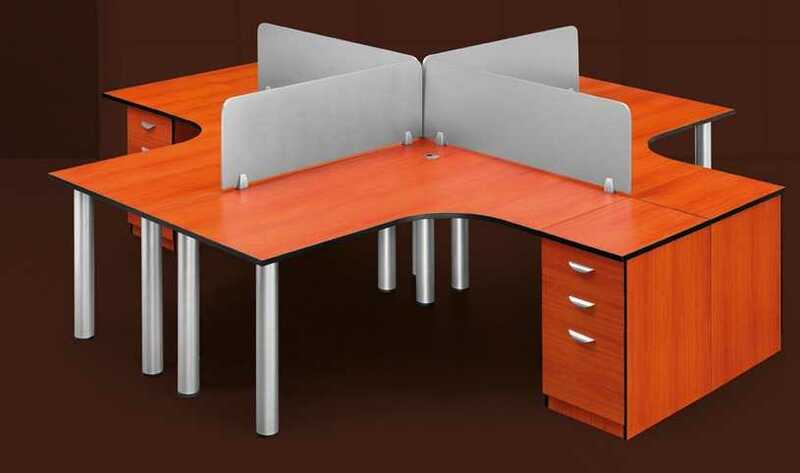 The idea is for you to design and build a desk to suite your requirements. 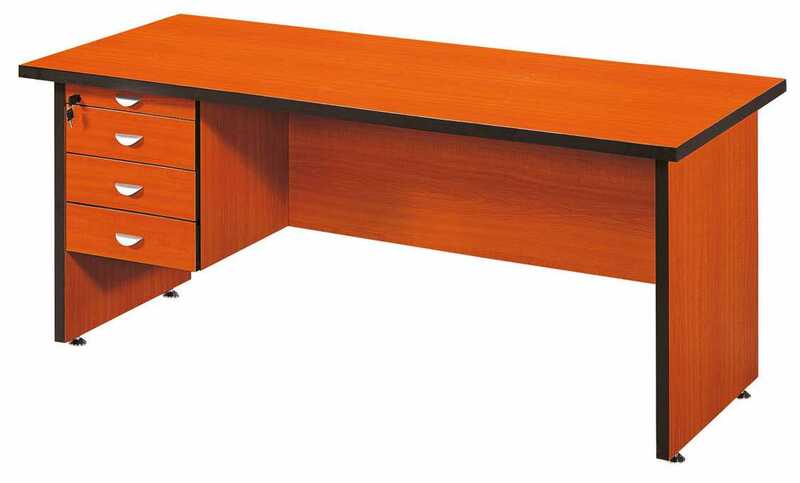 Description This melamine finish modular reception desk consists of desk shell #JA004 and desk top storage box #JA102. Mobile or fit in pedestal can also be added. All items sold separately.